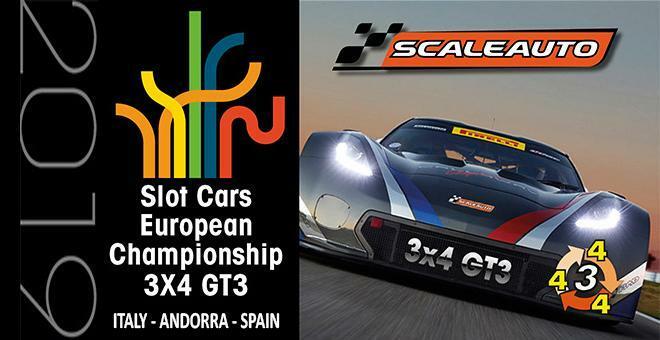 Scaleauto organizes for the year 2019 the first European Championship of Slot 1:32. Four team races in Italy, Andorra, Spain and a great final, with a format already used in Italy, 3x4. Each team must take part with three different cars in any of the four round of each race. This already indicates that the three cars that will be the main actors of this Scaleauto European Championship at 1:32 scale are: Audi, BMW, Corvette, Porsche, Spyker, Viper and the new Mercedes AMG. Each race will be organized by the responsible of each country. Thus, the Italian race, in Parma, will be organized by SlotUP; Andorra race will be under the supervision of Associació Slot Principat D'Andorra; the race of Spain, in Xàtiva (Valencia) will be organized by Slot Costera and RP while the grand Final, whose definitive place is to be revealed, although everything points to an impressive scenario of motorsport, will be organized by the Catalan Association of Slot. Entrants in this final will be the first 16 teams of the provisional classification. Everything seems to indicate that this Scaleauto European Championship can become a benchmark in Slot competitions, with a team winner, hoping that in the future one more step will be taken. Shortly Scaleauto will begin to proclaim the technical and sports regulations that must determine each of this Championship events. The races will be disputed on the new scaleauto tracks.